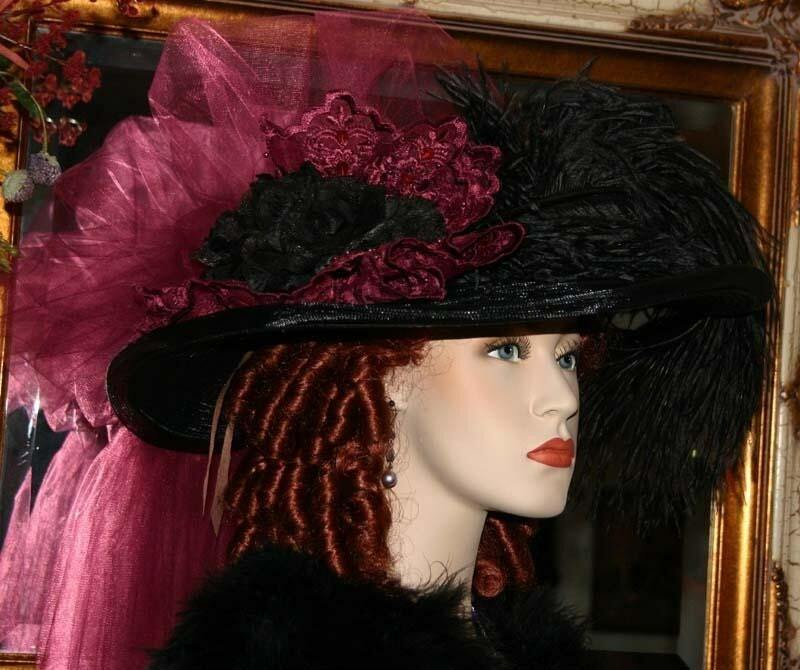 Victorian Hat "Burgundy Delight" is a perfect hat for your tea party! 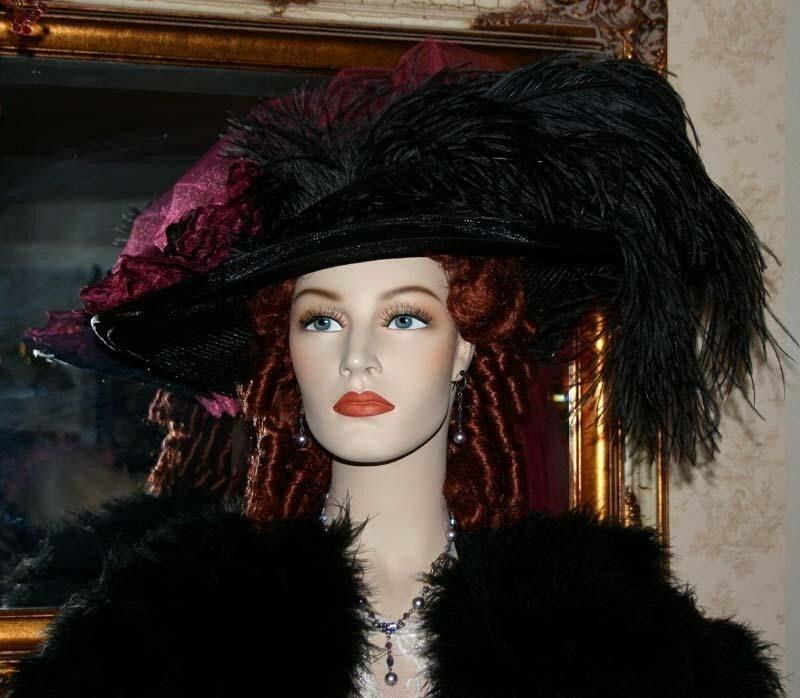 It's designed over a black hat base and the brim measures a full 18 inches in diameter. 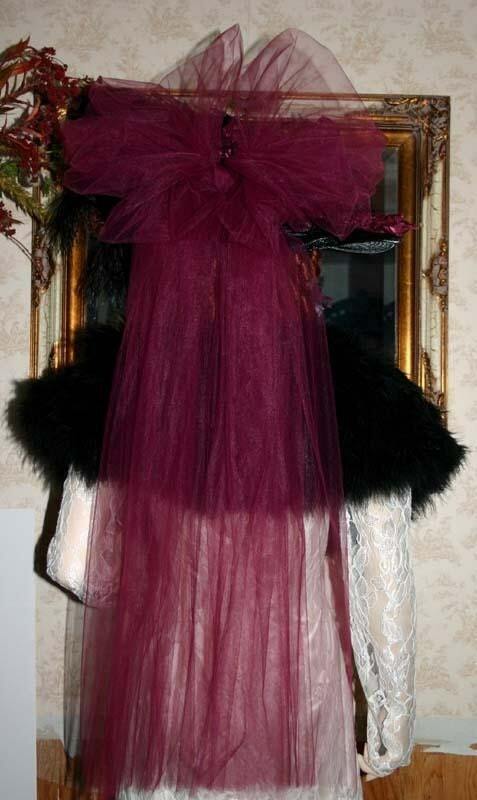 It would look beautiful for that special tea party, Somewhere in Time weekend or Titanic remembered! 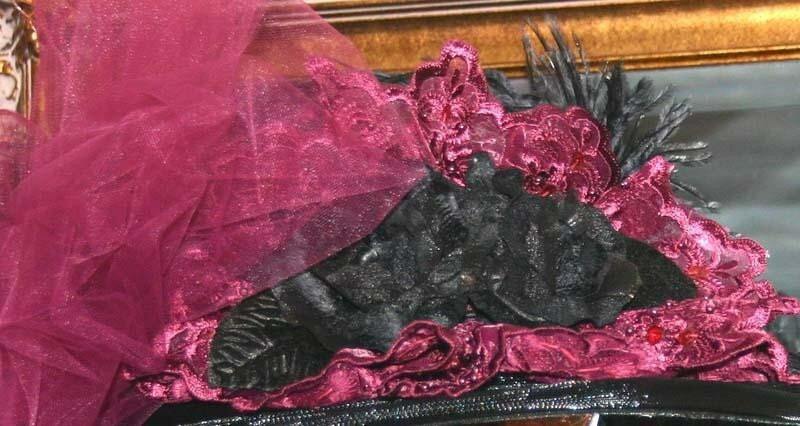 It's adorned with a gorgeous black silk rose accented with black velvet leaves and delicate burgundy organza lace accented with sequins and pearls around the crown as well as the rosette behind the rose. 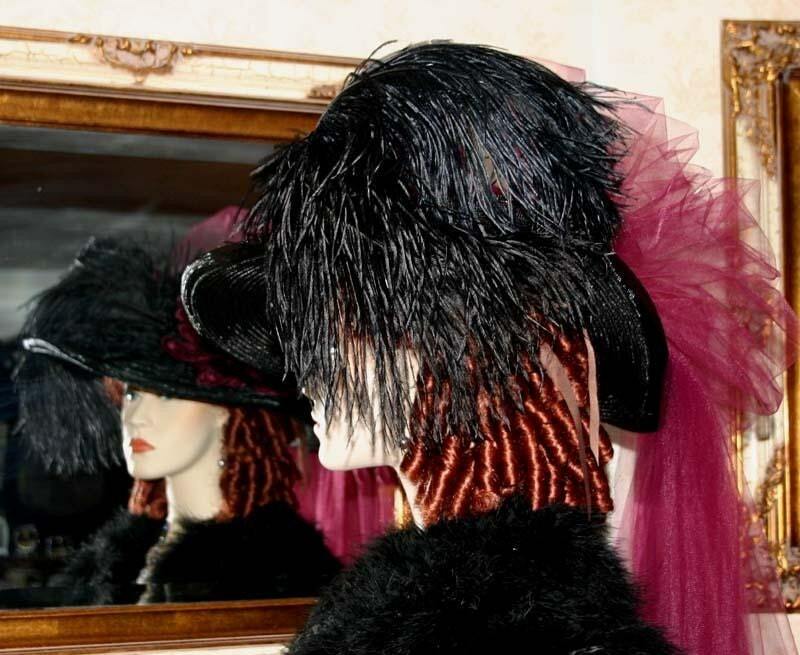 There's two luscious black ostrich feathers sweeping across the front of the hat and a extra full burgundy tulle bow making this hat VERY ELEGANT! Some of the PHOTOS have been lightened so you can see detail...it's very difficult to photograph the color black! Absolutely GORGEOUS hat! I have ordered hats from Darna in the past and they are always lovely. Communication, delivery, packaging and product are spectacular! Darna is an A+++++ seller! Thankyou!